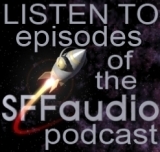 First podcast January 12, 2009. Our talk talk acclaimed short story writer James Powell! HERE are the vintage shownotes. I’ve been listening to these for hours today. The audio dramatizations are actually pretty good. 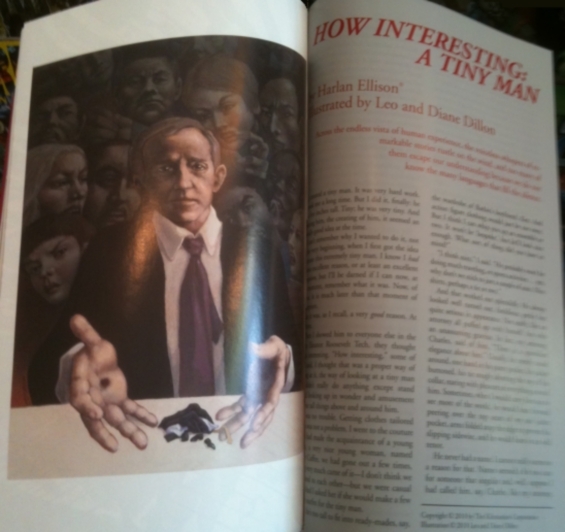 The short stories tend to be very solid too (and are mostly read by their authors). Sound quality varies though and sometimes the recording level volume is set far too low. Additionally, the proof-listening is occasionally very shoddy (with repeated lines remaining unedited). The latest episode (#7) has three stories all based on the same newspaper article. The results are mixed, but I really like the idea of stories based around a story seed like that. In fact, it reminds me of something John Joseph Adams and David Barr Kirtley were talking about in a recent Geek’s Guide to the Galaxy podcast. 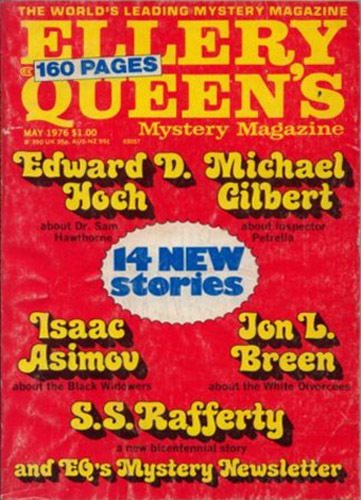 They mentioned the John W. Cambpell story seed that lead to the writing of Isaac Asimov’s Nightfall and Robert A. Heinlein’s Orphans Of The Sky. Two SF stories that are both very different and very terrific. 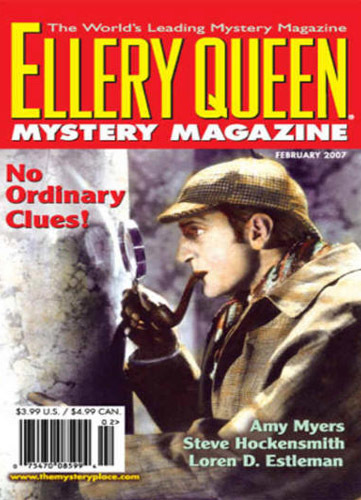 My favourite Ellery Queen Mystery Magazine podcast episode so far is #5, Dear Doctor Watson, a Steve Hockensmith short story. Its a kind of Sherlockian pastiche set in the Victorian West. It’s protagonist a kind of amateur Sherlock Watson team that’s only half-hampered by being illiterate and in Montana. Dear Doctor Watson is both fun and well read by two narrators. I truly hope to see the “Ganelon” stories by James Powell and the “Black Widowers” tales by Isaac Asimov showing up in future episodes. They’re the absolute tops! Episode 1: Cut! Cut! Cut! 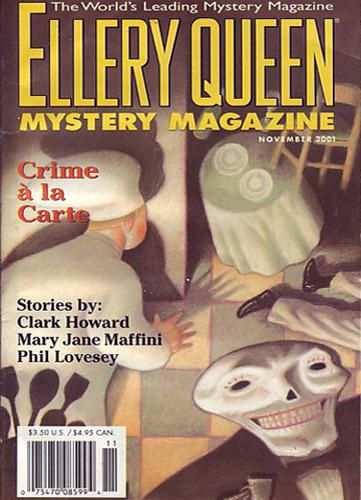 Ellery Queen receives a phone call from a murder victim in this clever play involving a witness of another species. 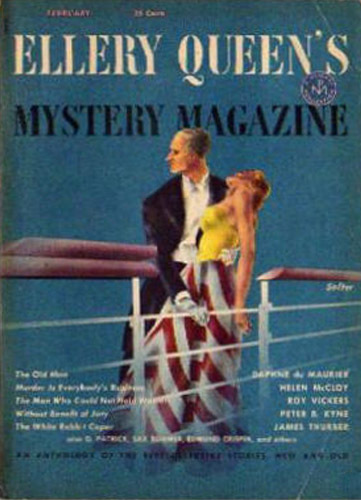 First published in Ellery Queen’s Mystery Magazine September 1956 issue. A nosy neighbor alerts police to suspicious digging in the garden next-door—and she isn’t the only one to get an unexpected comeuppance. First published in EQMM in November 2001. A TV writer goes missing, leaving her show’s star without a script and opening up a perfect scenario for murder. 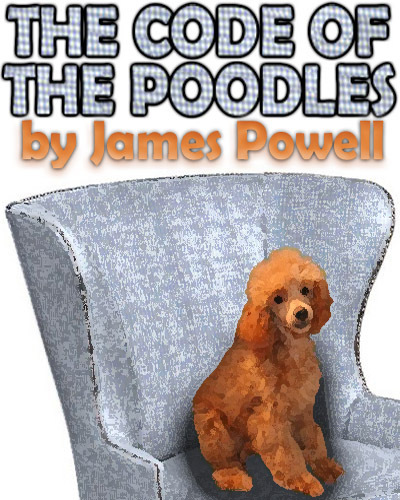 In this fourth installment in her series of Diana Poole mysteries, former Hollywood actress Melodie Johnson Howe takes a penetrating look at the off-stage life of a TV idol. First published in EQMM June 2003. 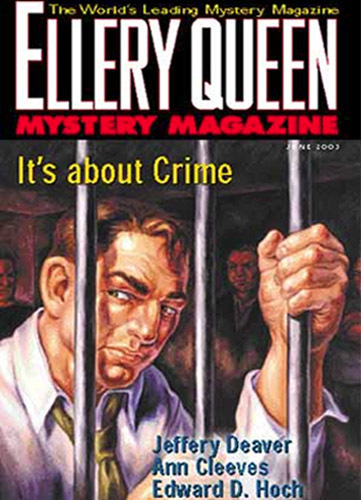 Ellery Queen returns in a case involving a cryptic dying message. First published in EQMM in February, 1953. The story later appeared under the titles Murder In The Park and The Mystery Of The 3 Dawn Riders. A pair of Old West cowboys try to prove they’re worthy of joining a detective agency by retrieving an incriminating letter. But things are not all they appear to be in Missoula, Montana, circa 1890… First published in the February 2007 issue of EQMM. The solving of so-called “impossible crimes” is the hallmark of Edward D. Hoch’s series character Dr. Sam Hawthorne. In this episode, the New England country doctor is on board a night train when a body is discovered in its locked caboose. First published in EQMM in May, 1976. Three stories (Say That Again by Peter Lovesey, The Old Story by Liza Cody, and Wheeze by Michael Z. Lewin) that take their lead from a single newspaper article provide an entertaining look at how a common creative impetus can take the imaginations of different writers in wonderfully different directions. 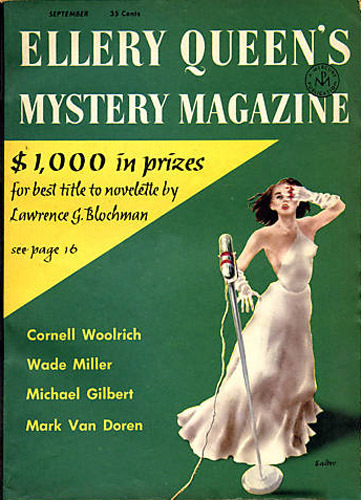 Includes a short interview with the authors, all leading writers of suspense, recorded at the 2009 Bouchercon World Mystery Convention.